As Barbra asked for reference I did not wanted to use ebay as many people do not see ebay as a serious platform to buy rough/cut stones from. I made plenty of good experiences there but this can be a personal and lucky experience. I bought my canadian tsavorites on canadian fairs from canadian sellers, but the green grossulars are there. The color fits for tsavorites for some of these stones (yes its possible to discuss which one in detail is tsavorite or "only" grossular). But as shown with some links they are there. Also very fascinating are the greendot grossulars from jeffrey mine. The color is correct for the Canadian tsavos but the chemistry is not. Perhaps it is a similar situation with pezzottaite. Just throwing that out there. I have nothing to back that up. The chemistry is different on the canadian grossulars for sure, but I don't think that should matter. We made that mistake with emeralds and have largely lived to regret it. Pezzottaite is a bit less i tricate than the garnet group. Just a big handful of cesium for mineral identity and a pinch of manganese for color. Two sides to that pancake. Once again the peculiarities of the gem business shows itself to be illogical. The African Emerald is said to lessor because it is colored by Vanadium, not Chromium. The Canadian garnet is said to be not as good because it is colored by Chromium and lacking in Vanadium. In my opinion, what should matter is the beauty of each stone, but that is not how this cookie crumbles. If I remember correctly, both the emeralds from the Kafubu Area in Zambia and the Sandawana emeralds in Zimbabwe can have a high Fe content. I think the Fe is more of a sting than the V. Iron tends to "ink" gems up, IMO. 1. Fairly dark-toned green beryl with iron as the chromophore exists and has been represented by some sellers as emerald. I've seen images of such material but can't recall exactly where. There are some authorities who claim that beryl with any chromophore other than chromium is not truly emerald. That would include beryls from Zambia and some areas in Brazil and elsewhere that have a vanadium chromophore, as well as the iron-colored beryl. 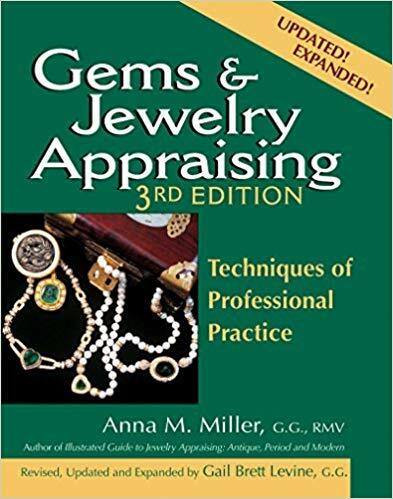 "Does the AGTA Lab* have a position on what chromophore is necessary to make emerald out of green beryl? Or what differentiates emerald from green beryl? "I've always been told emerald must contain chromium. But I see that vanadium-as-chromophore has apparently been accepted in the marketplace for Zambian and Brazilian goods. What about iron? 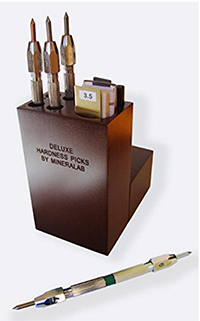 "Would the presence of vanadium or iron affect the quality determination of an AGTA emerald cert? That is, would the stone be downgraded in any respect?" "Thanks for your note. 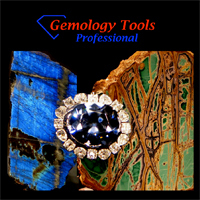 Emerald is a variety defined by color rather than coloring agent. Thus if a stone has a color similar to a normal emerald, it would get the emerald variety name. Hope that clears it up for you "
So there you have it. I'm not an advocate for either position. I'm merely reporting the facts as I interpret them. Gemologically I think the industry has largely settled this issue. 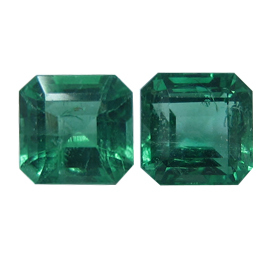 Emerald is a beryl with a particular range of primary color, tone, and saturation. The exact boundary varies slightly in different parts of the World. However, premiums in price are still affected by tradition, provenance, origin and chromophore. 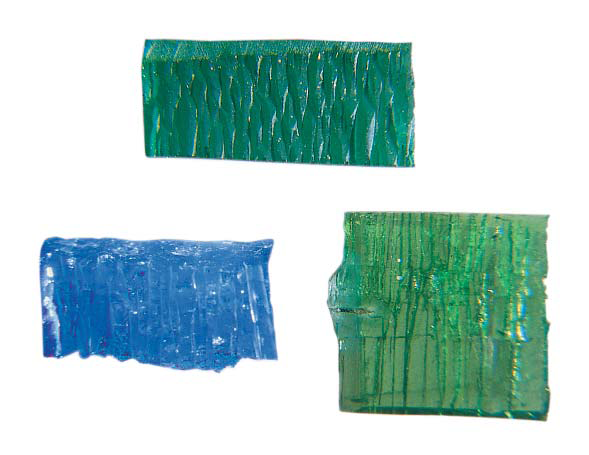 "Figure 9: The slightly bluish green coloration of the new type of Tairus synthetic emerald (top, 7.52 ct, 16.5 × 7.5 mm) is caused by superimposition of the light blue colouration of a synthetic copper-bearing beryl (below left) and the yellowish-green colouration of a synthetic vanadium-bearing beryl (below right); the copper- and vanadium-doped samples are Russian research samples obtained by one of the authors in the early 1990s. Photo by M. Glas." I mean, that's impressive depth of color for a green fe-colored beryl, but who would ever mistake it for emerald? I suspect heliodor yellow and aquamarine blue just aren't quite compatible enough to get a rich green color when mixed. I'll admit I've seen a few lighter toned unheated green aquamarines that in the right light (specifically fluorescent) might be mistaken for a very blueish emerald though. I can tell what I'm doing tomorrow.....dividing this thread into several other threads. 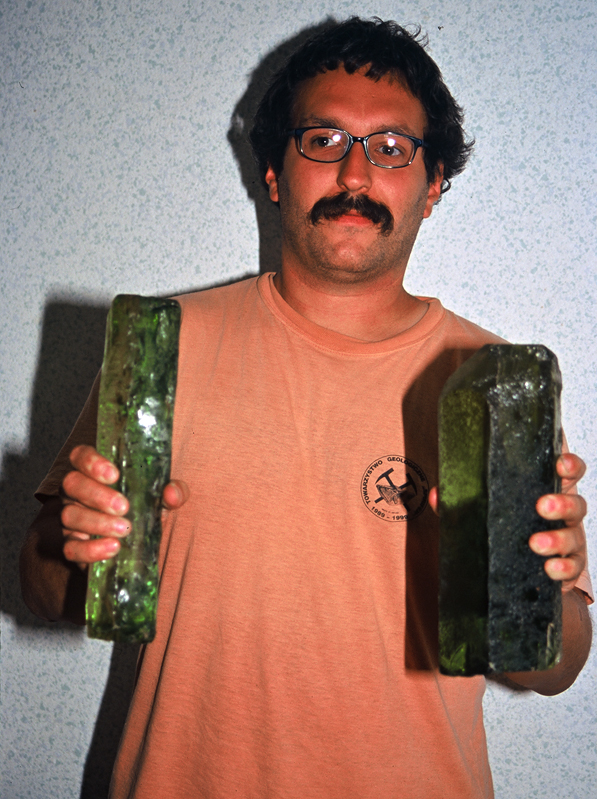 When I was almost young, I remember the first African emeralds which hit the market. They were mined in Zambia and always cut in Israel. When I spoke of Fe as a significant chromophore,it was in concert with other elements...not solo. The most important chromophore in Zambian emeralds is Cr, which averaged 0.26 wt.%—and ranged up to 0.84 wt.%—Cr2O3. Overall, the darkest green stones had significantly higher Cr contents than the lighter and medium green stones, which often showed no straight forward correlation between color intensity and average Cr content. In contrast, V concentrations were consistently low, averaging just 0.02 wt.% V2O3 and attaining a maximum of 0.09 wt.% V2O3. The only other significant chromophoric element was Fe, which averaged 0.76 wt.% oxide (as FeO)and showed a maximum of 1.75 wt.% FeO. Fe typically (in my experience) dampens vividness. Please feel free to disagree with me. And Steve, I'm sure you saw some of the first African emeralds distributed by Israeli dealers. Have any recollections? Oh yeah, absolutely. I meant it in reference to ROM's post. Yes, I remember seeing the stones that started coming out of the Israeli/ Zambian connection, knew many of the rough buyers in Africa. I always accepted Zambian stones as Emerald, but thought most were too blue to stand up to Colombian in desirability. The one thing that the Israelis did bring to the market was a much larger assortment of shapes, matching, and calibration. This was a great thing for the market in my opinion. Rarely I would see in the market the Lake Manyara stones. The finest of which I thought rivaled traditional sources. I also remember the small calibrated stones coming out of Sandawana. The finest stones from here were dark, holding color in even the smallest cut stones. However, stones from these sources were never available to me in a quantity to be commercially viable. On an atom-by-atom basis (not a wt.% basis), Kafubu Zambia emeralds have as many Fe atoms as Cr atoms, and usually more. Those emeralds have essentially no V atoms at all. I don't know where this misinformation that African emeralds have significant V content comes from, but it is wrong. The blue in bluish green African emeralds comes from the Fe and the dominant green comes from the Cr, even though in many cases there are actually fewer Cr atoms. To address another point of misunderstanding. Colombian emeralds typically have roughly the same atom-by-atom concentrations of V and Cr. One individual sample may have more Cr than V and another may have more V than Cr. But no Colombian emerald I've come across has ever had a negligible amount of Cr. Last edited by Brian on Sat May 12, 2018 8:34 pm, edited 2 times in total. I'll drop Chris Smith a note and get his take on Single Source Gems. Is Demantoid the yellowgreen to fine vivid green to deep green variety of Andradite coloured by chromium? Or only a fine green variety of Andradite like some of the russian stone ( and this source produces brown, yellow and yellowgreen stones too) and some of the iranian stones and very rare items from Canada should be labeled as Demantoid? Have your ever seen a very fine one from Madagascar, Namibia or Italy or Mexico in the color of the best russians stones. Is chromium always responsible for the color of Demantoids from MAD, NAM, I or MEX or the lower russian qualities? Nobody would neither call the green beryl crystals posted here as emeralds nor the yellowgreen grossular as tsavorites..